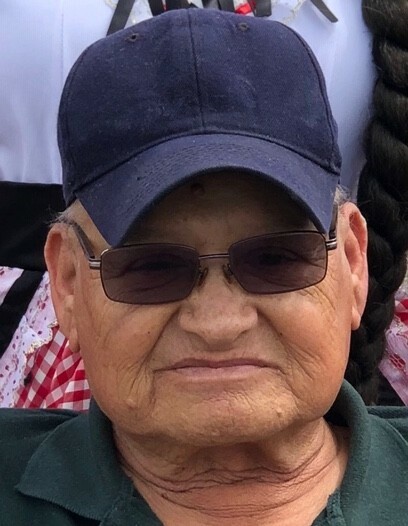 ELSA – Pedro “Pete” Gonzalez, Jr., 72, passed away Wednesday, April 10, 2019 at his residence in Elsa. He was born May 7, 1946 to Pedro T. and Evangelina Villalpando Gonzalez in Weslaco. Pedro is survived by his wife, Maria Noelia Gonzalez; son, Pedro (Karina) Gonzalez III; daughter, Linda (Armando, Jr.) Duarte; grandchildren, Kassandra L. Gonzalez, Maiah C. Duarte, and Armando (Trey) Duarte, III. He is also survived by his sisters, Maria Rangel, Maria Angelica Ozuna, Maria Guadalupe (Jose) Garcia, Yolanda (Domingo) Hernandez, Margarita (Pablo) Palacios, and Consuelo (Alejandro) Cardenas; and numerous nieces and nephews. He is preceded in death by his parents; sisters, Ofelia Valdez and Eva Gonzalez. Pedro worked for Edcouch-Elsa ISD for 22 years as a bus driver and security officer. He was a volunteer firefighter for the Elsa Volunteer Fire Department since 1976, held position as Captain and was a mechanic by trait. Serving as Pall Bearers are: David Ozuna, Armando Bazan, Eduardo Hernandez, Ernesto Valdez, Alex Cardenas Jr., and Javier Zavala. Viewing will be held on Saturday, April 13, 2019 from 1:00 p.m. - 9:00 p.m. and Sunday, April 14, 2019 from 1:00 p.m. - 9:00 p.m. with a Holy Rosary at 7:00 p.m. Viewing will continue Monday, April 15, 2019 from 8:30 a.m. to 9:30 a.m. Funeral Mass will be held at 10:00 a.m. at St. Theresa of the Infant Jesus Catholic Church in Edcouch. Interment will follow at Val Verde Memorial Gardens in Donna.